Real giants navigate our seas and the tendency of the cruise market seems to go more and more towards large units. 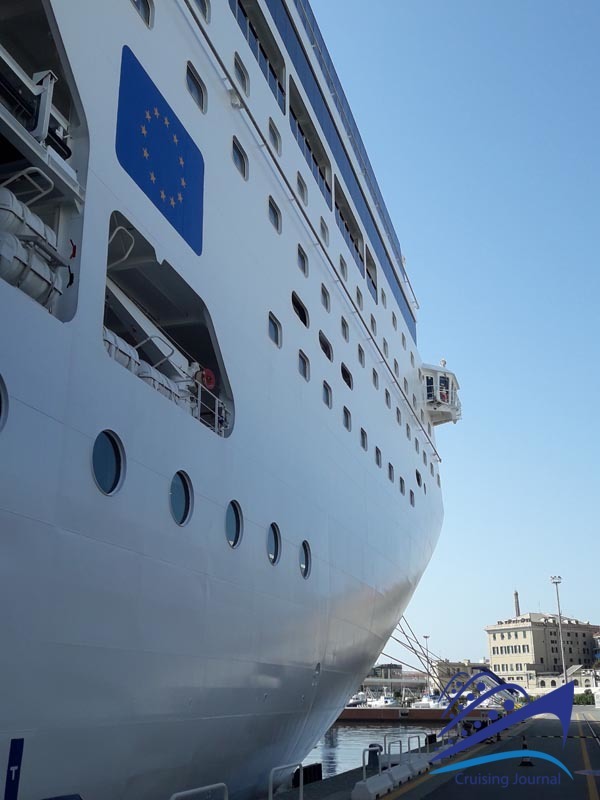 However, today there is still a part of the market that, frightened by this enormity, or too in love with the true relationship with the sea, prefers medium-sized ships, without caring for avant-garde entertainment or exceptional attractions such as those we are usually accustomed to. Fortunately, there are still ships that convey the feeling of relaxation and intimacy, being in contact with the sea. 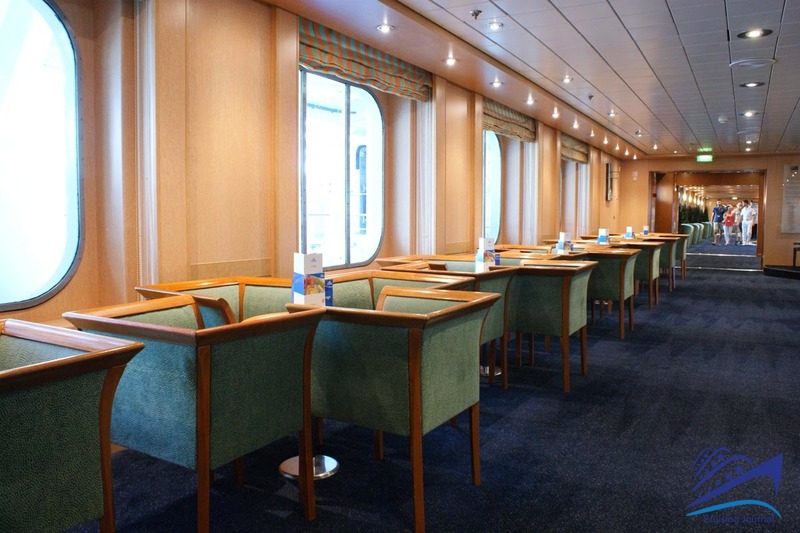 Obsolete for some new consumers, but rare and precious for those who do not like such excesses and for those who want to experience a more classic cruise feeling. 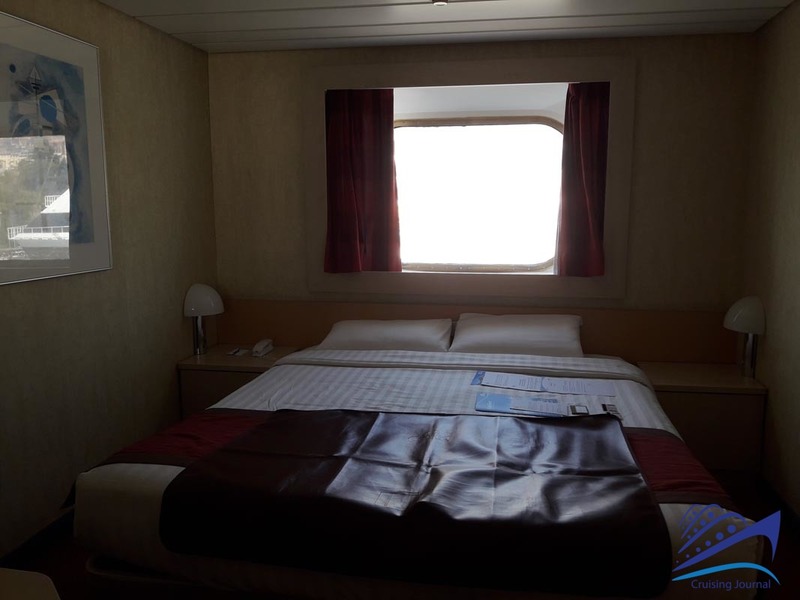 Costa NeoRiviera, a unit of Costa Cruises, is a 48200-ton ship built in France in 1999 for Festival Crociere. 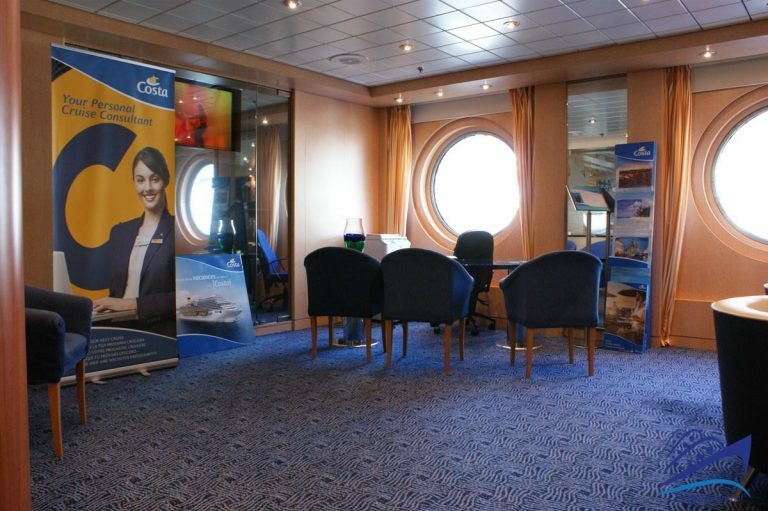 After a move to Iberocruceros (2004), it was added to the Costa fleet and was immediately set up for the NeoCollection project. 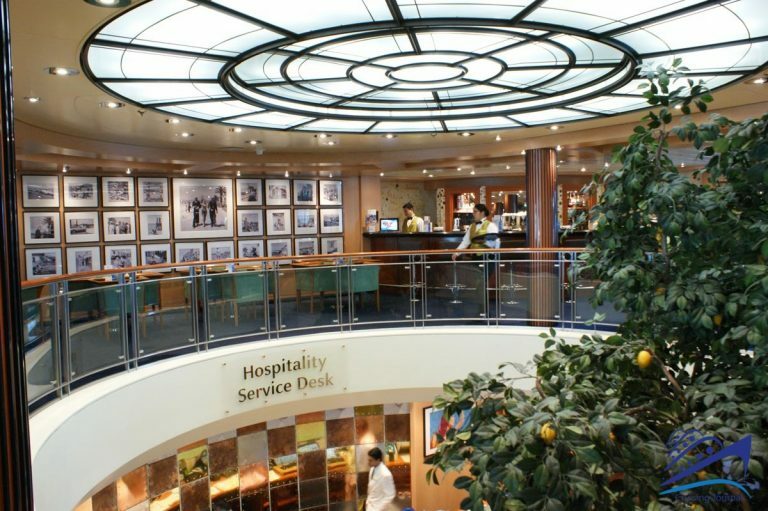 Today NeoRiviera still proposes a cruise philosophy based on the quality of service and the refinement of the itineraries. 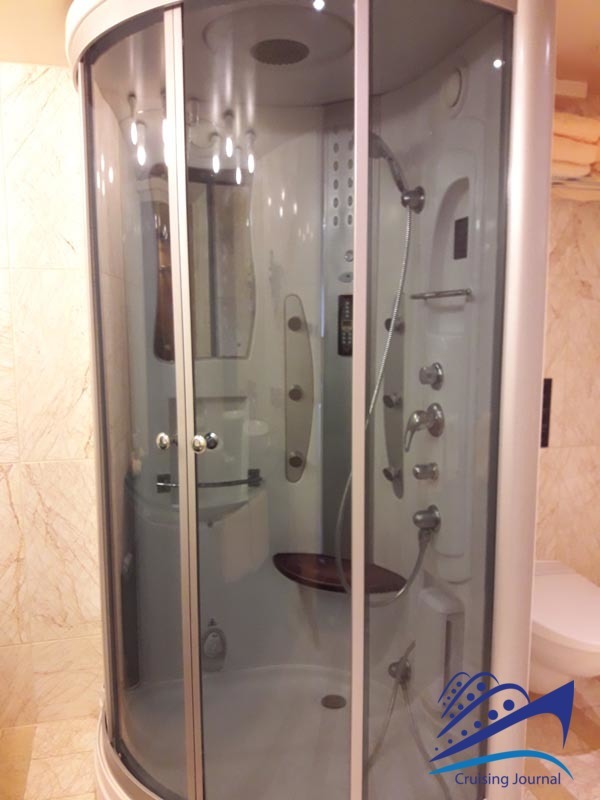 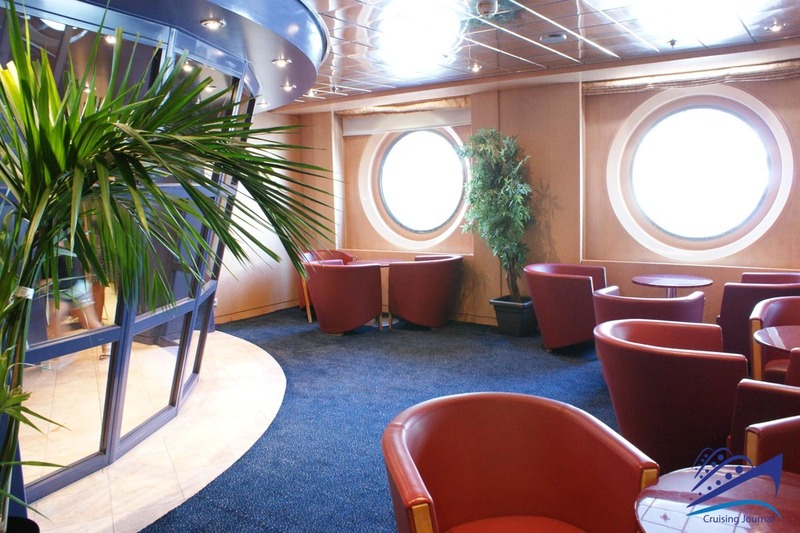 The characteristics of Costa NeoRiviera make it suitable for passengers of all ages and nationalities. 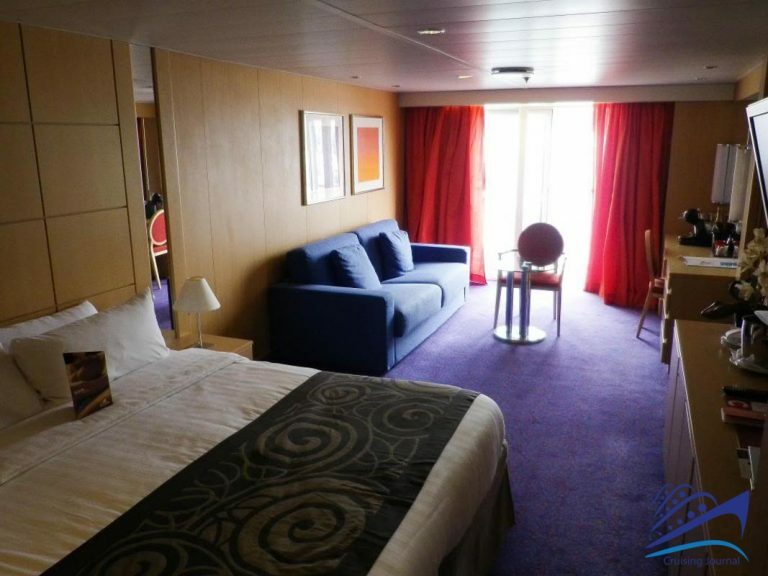 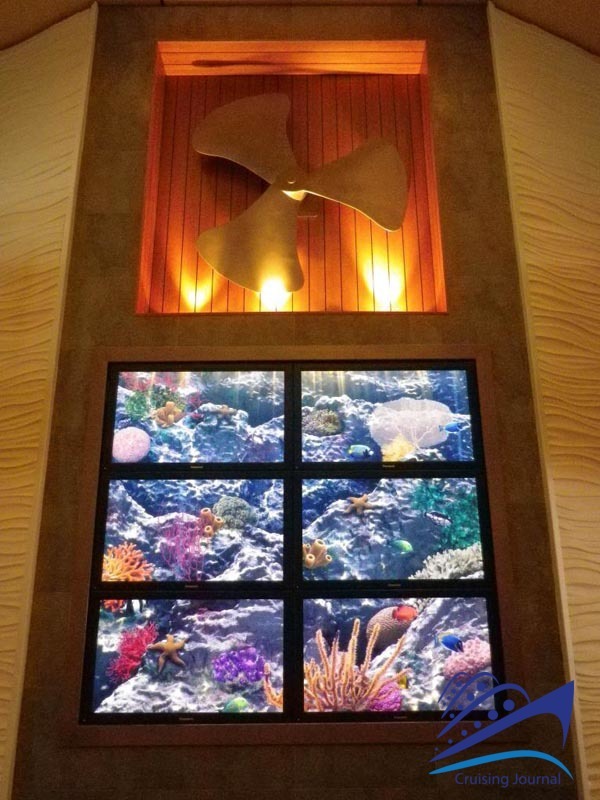 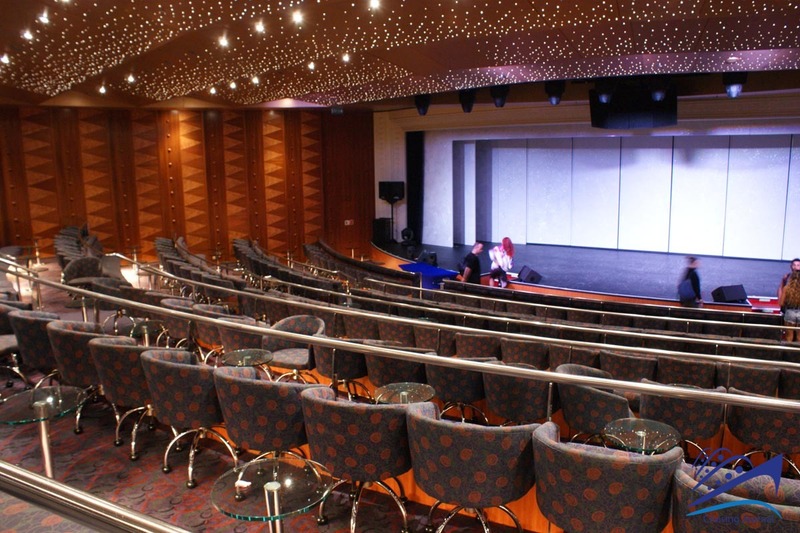 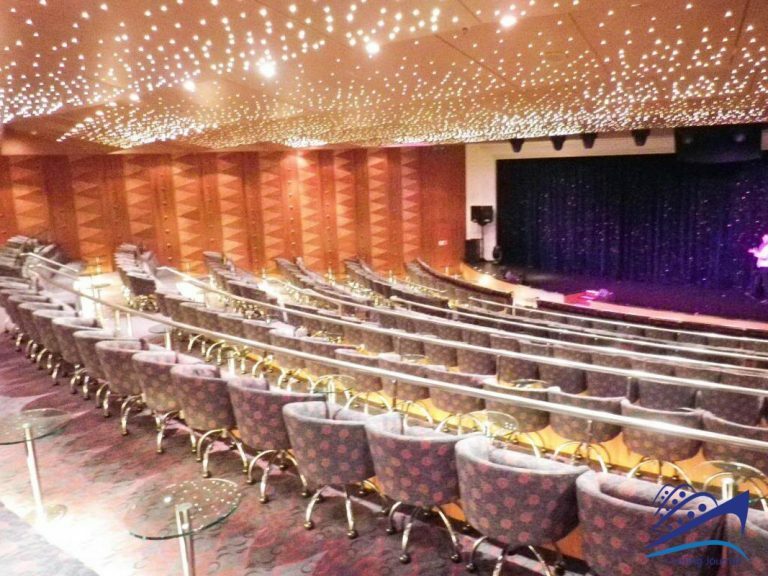 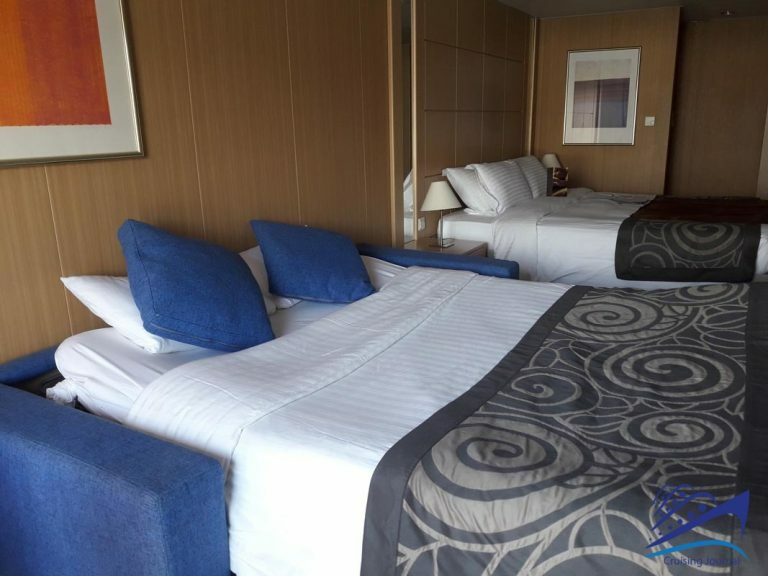 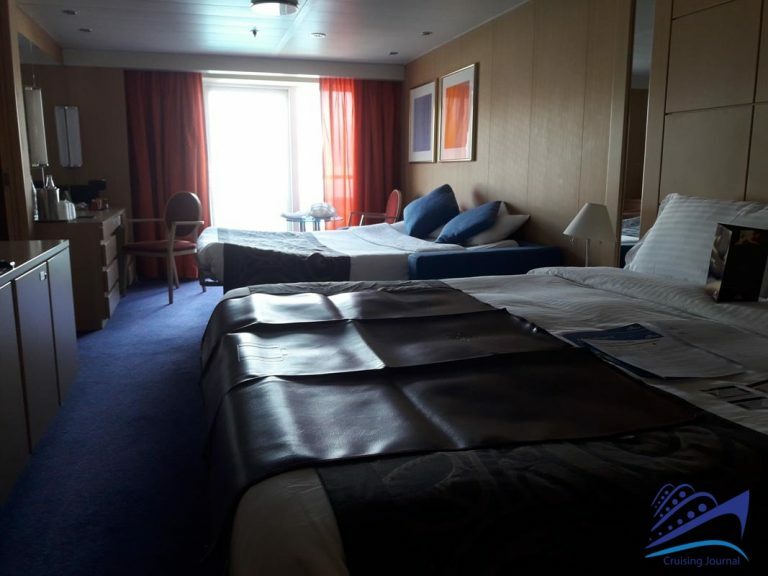 Decks from 5 to 7 host common areas, with the addition of cabins only at the stern of deck 7. 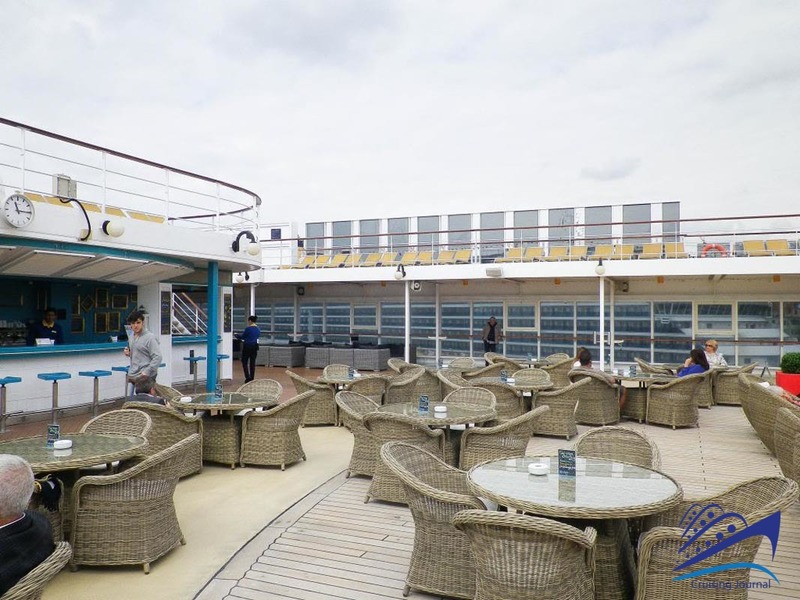 On deck 5 we have the Ravello Theater at the stern, preceded by the Bar Anacapri, in modern style and adjacent to the small Biblioteca Conca dei Marini and to the all’Amalfi Lounge. 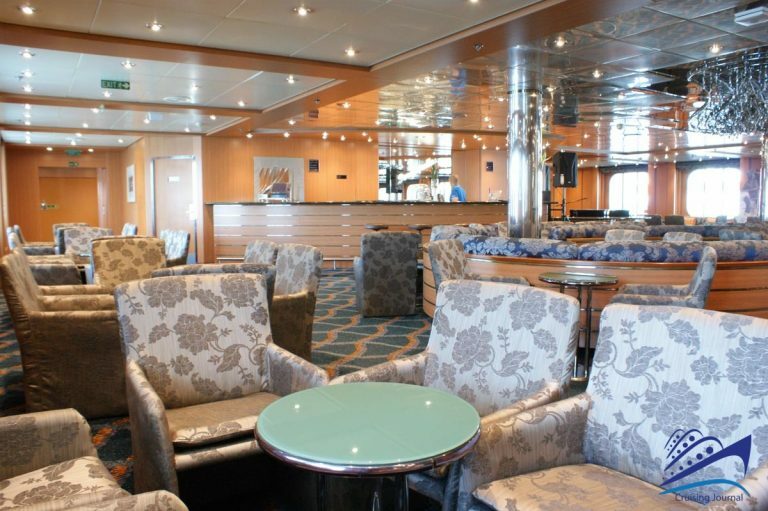 Always animated spaces, during the evening or during navigation, which recall the welcoming style of ships from a few years back. 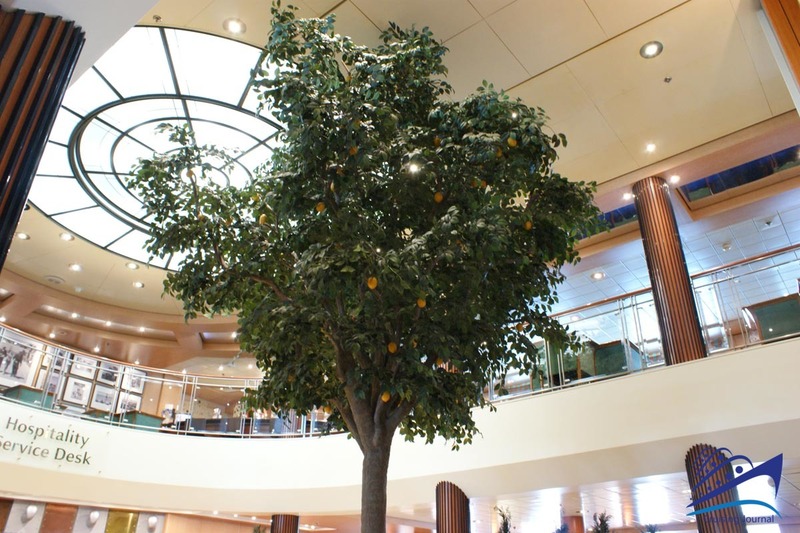 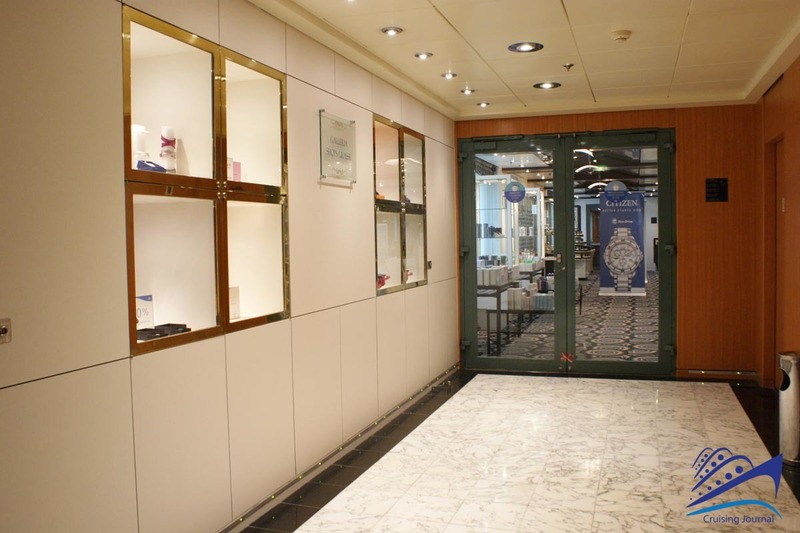 In the Atrio Riviera there are the Reception and the Excursion office, with the Café Positano on the left side of the ship and the shops on the starboard side. 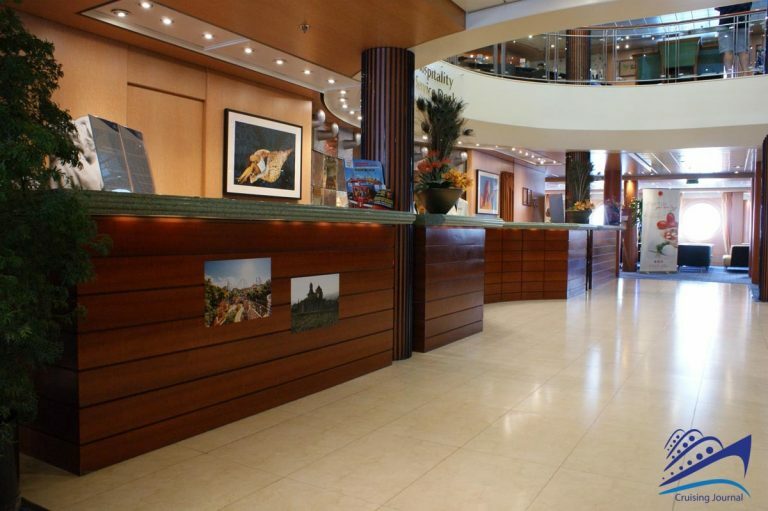 This is ​​the promenade and shopping area, but also the place to meet for an evening drink or an afternoon reading. 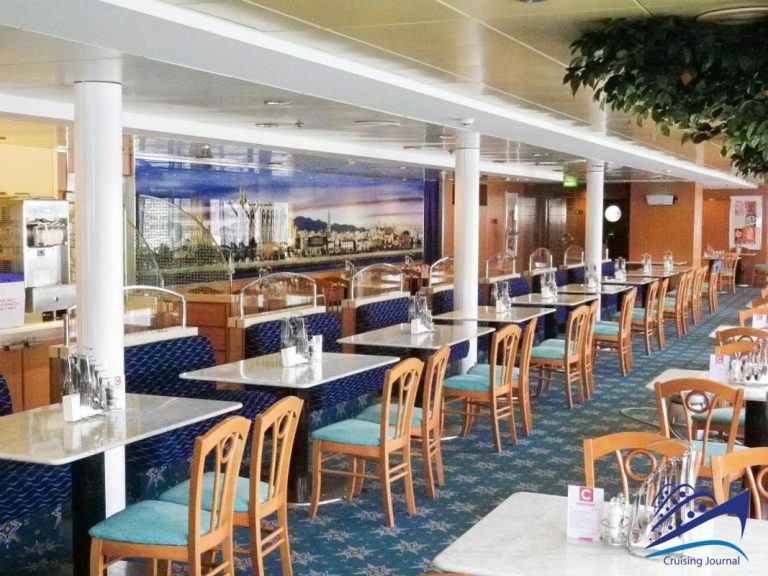 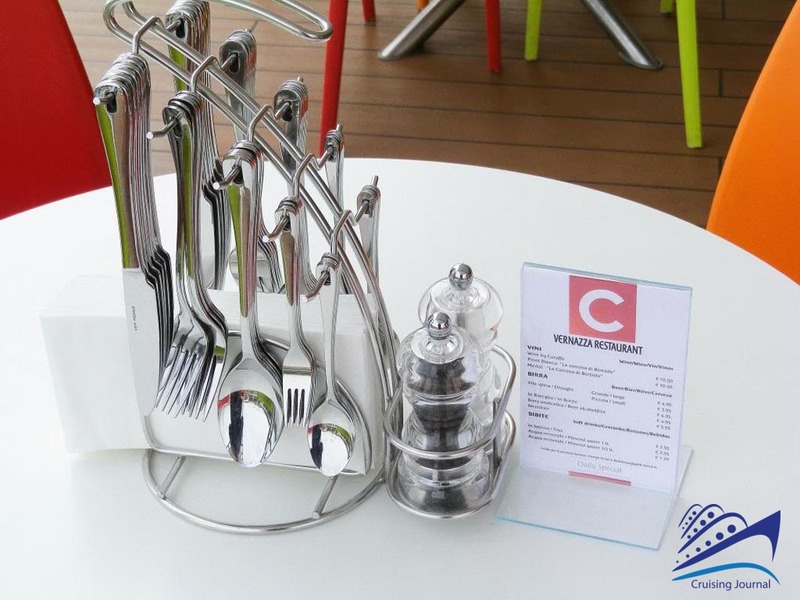 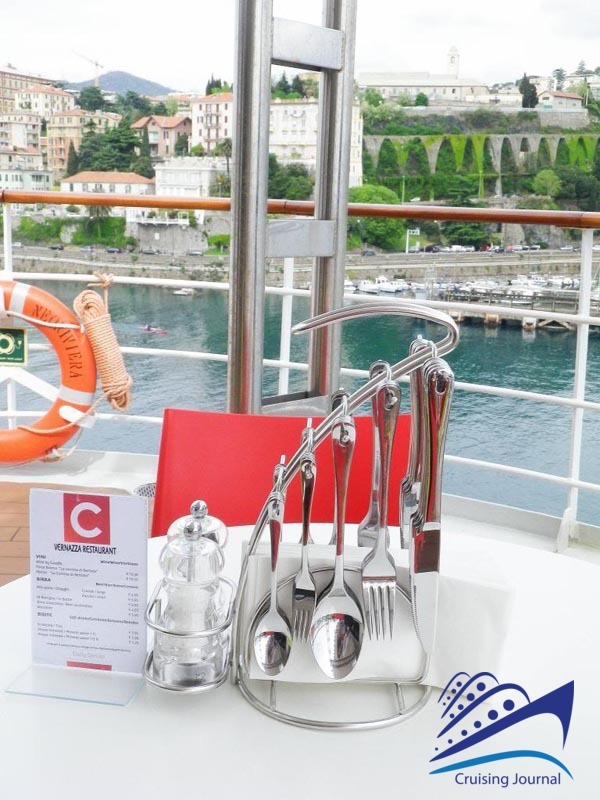 At the Ristorante Cetara, towards the stern of the ship, passengers with special needs or with free dinner shifts have access. 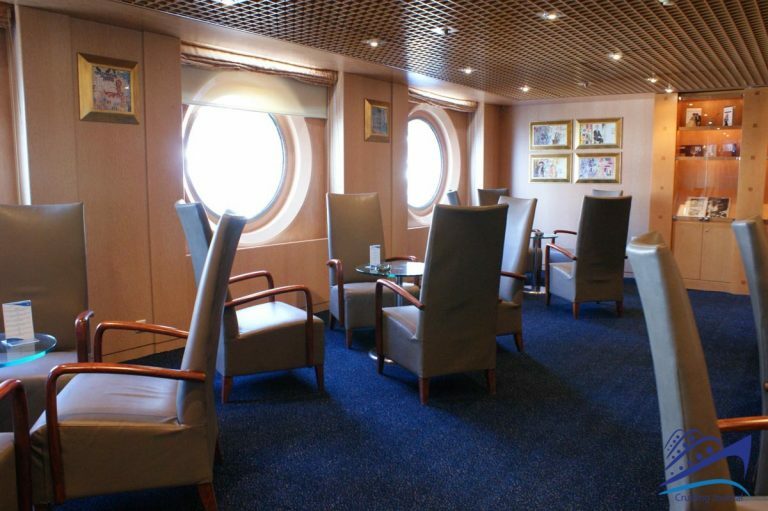 Classic and welcoming, it is distinguishable by the brightness given by the large windows on the sea. 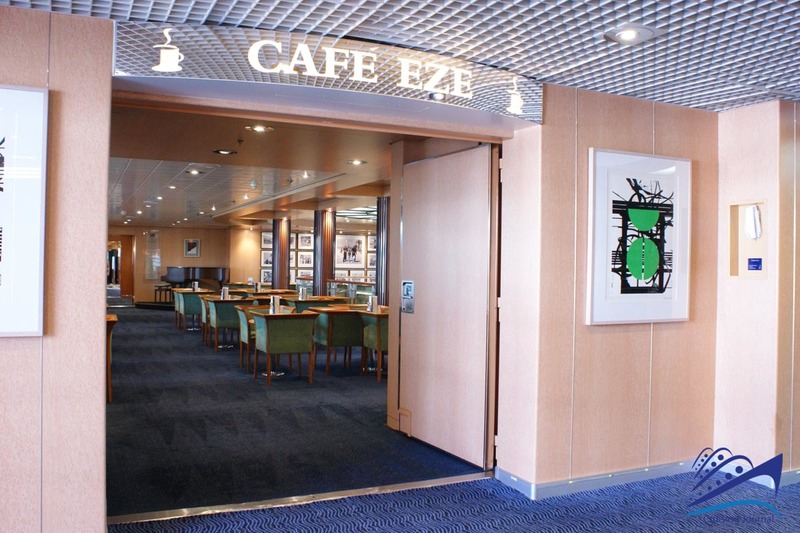 At deck 6 we have the gallery of the theater at the bow, this time preceded by Cafè Eze which separates it from the Casino and from the Cap d’Antibes conference room. If the Eze is the largest and most popular on board, the Bar Porquerolles is the hub of the evening life, with live music and entertainment. 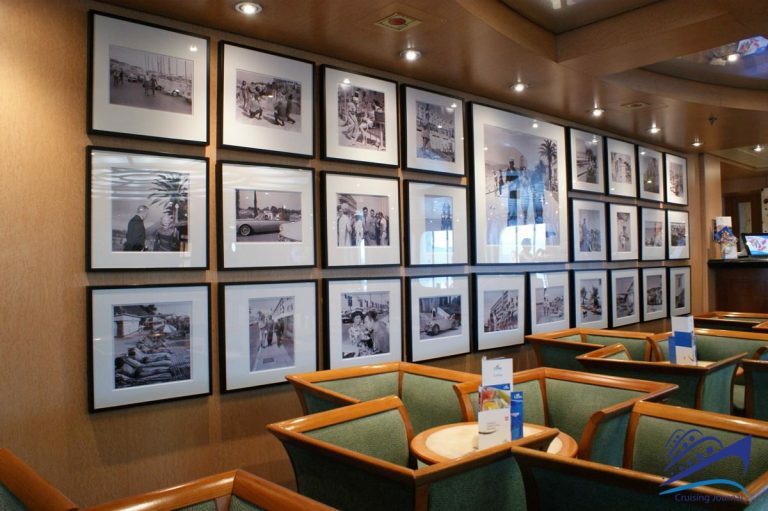 A little further on, you go to the main restaurant Saint Tropez, dedicated to meals on shifts, through a left corridor used as a Photo Gallery or one at the starboard with further shops. 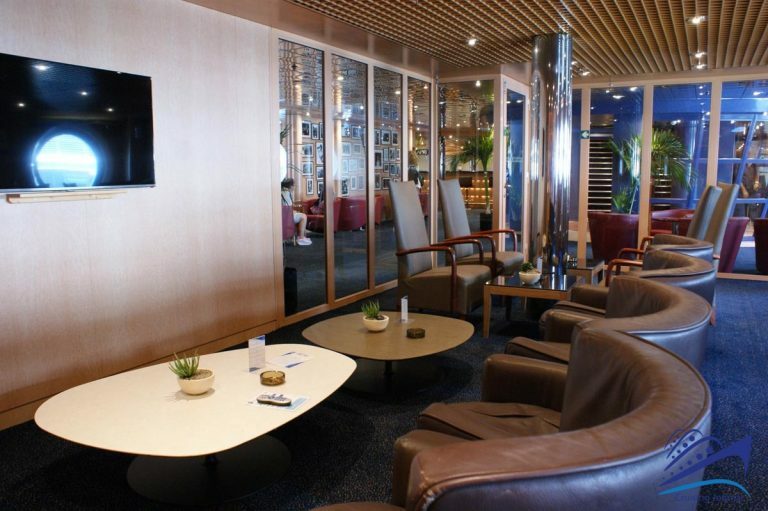 The deck 7, in addition to a series of aft cabins as anticipated, offers the beautiful Lounge Saint Paul de Vence located at the bow, an excellent alternative to enjoy quiet afternoons or for an evening aperitif. 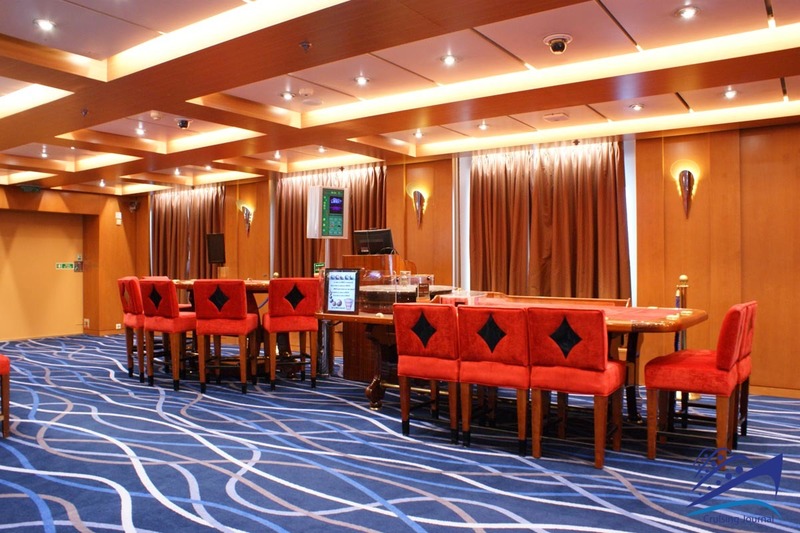 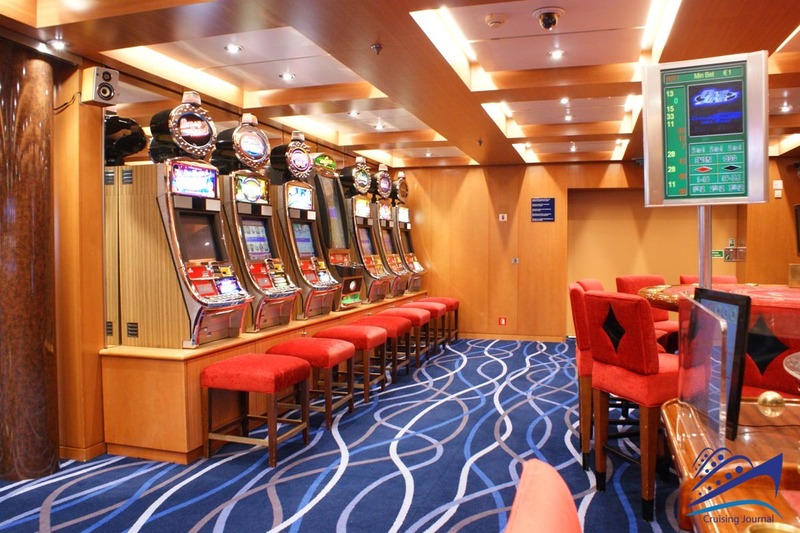 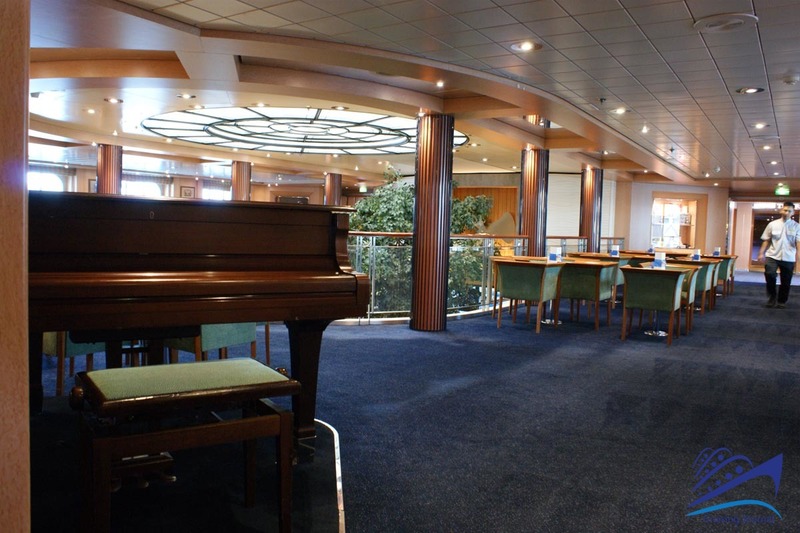 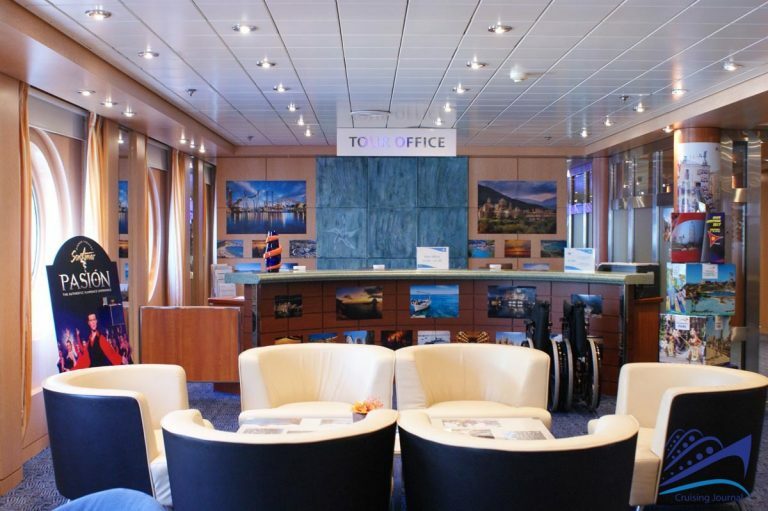 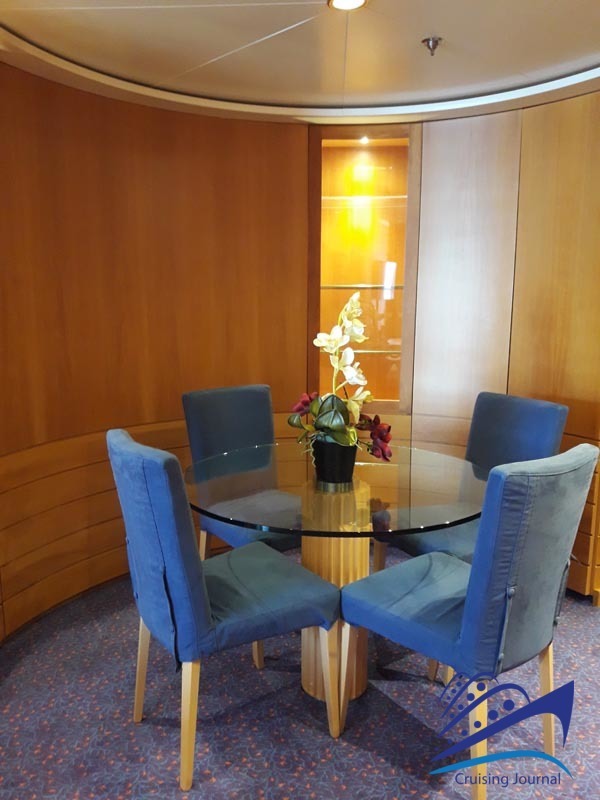 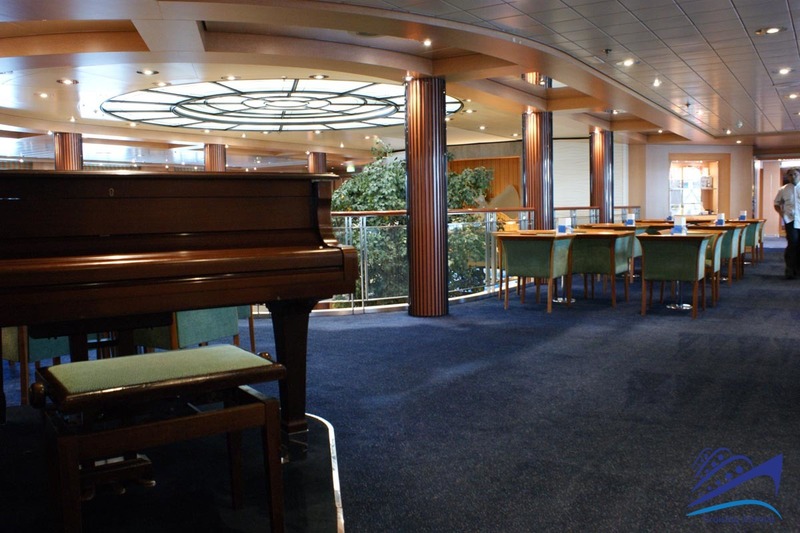 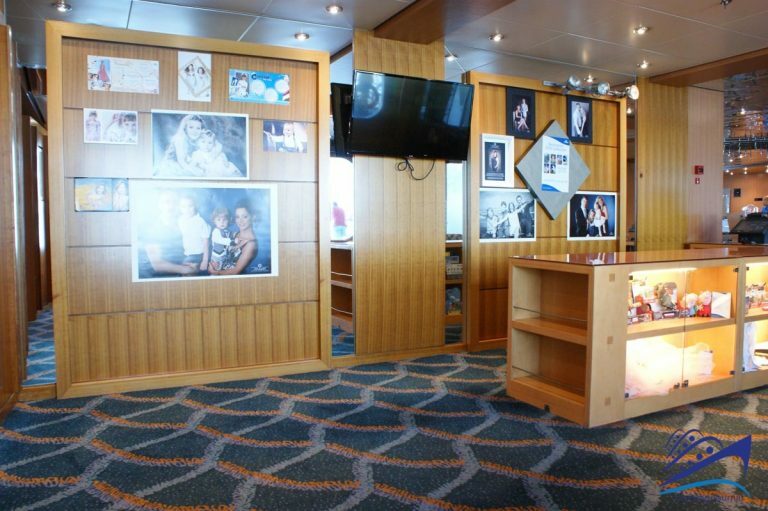 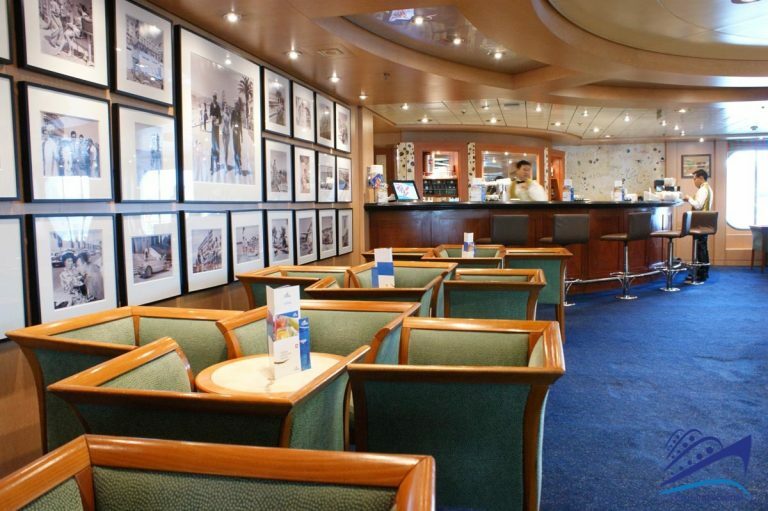 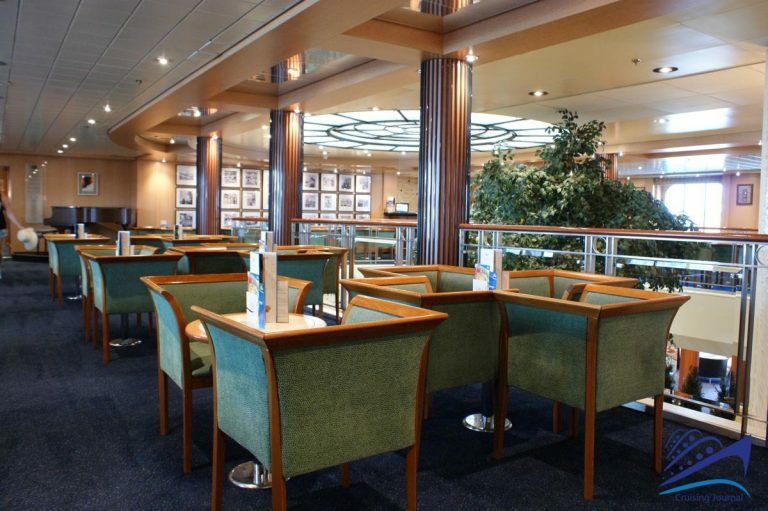 On the starboard side, inside the Lounge, we have the Card Room which also offers board games. 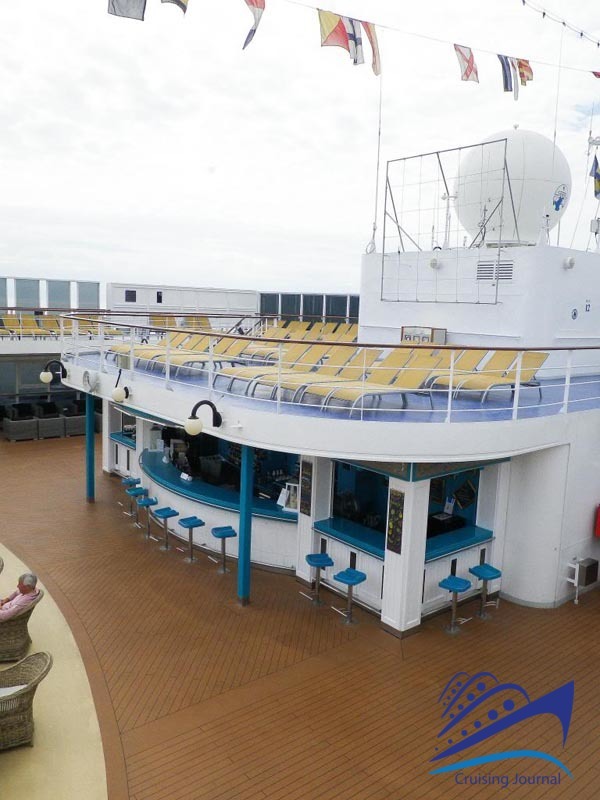 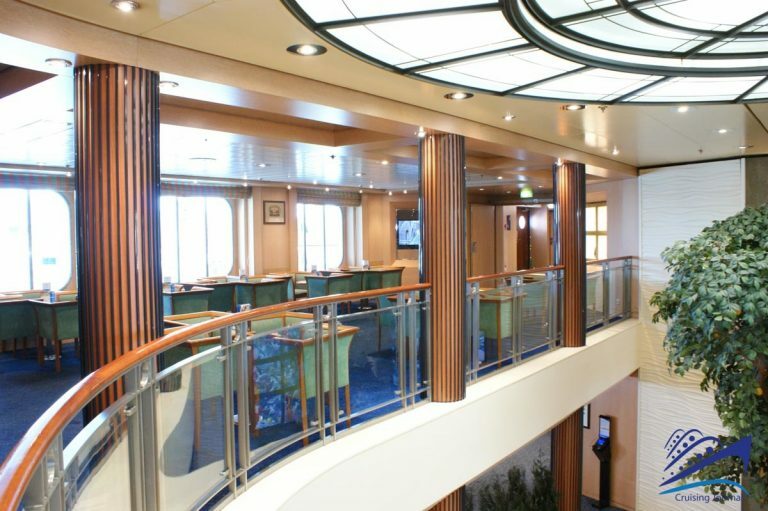 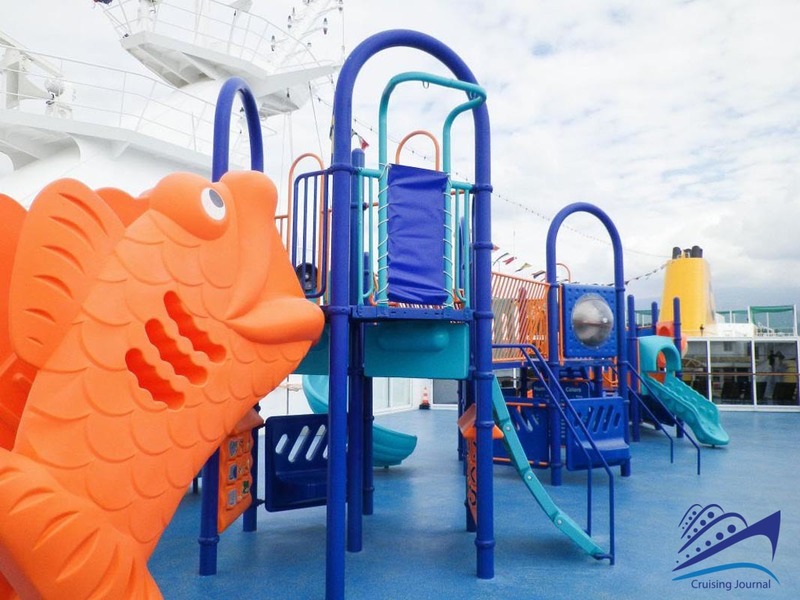 Decks from 8 to 10 are entirely dedicated to cabins. Deck 11 Cinque Terre hosts the Lido Via dell’Amore, with a swimming pool and a large open space, both around the pool and in the area that separates it from the Bar Corniglia, towards the bow. 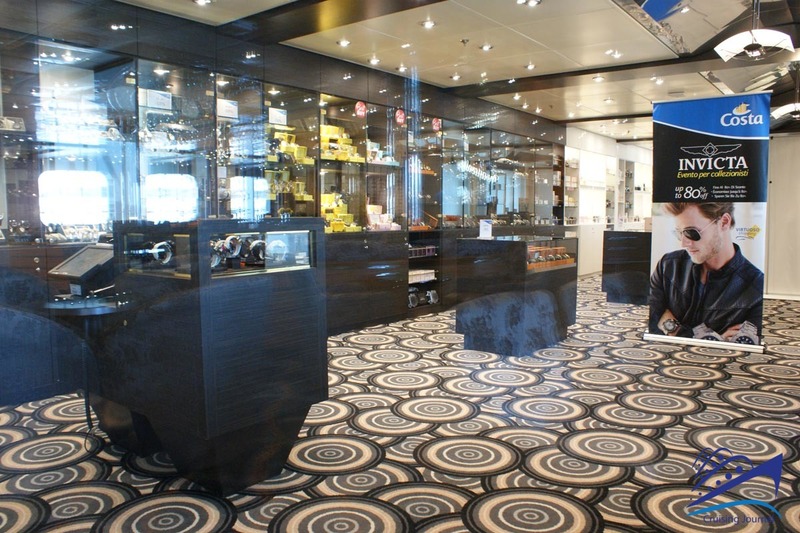 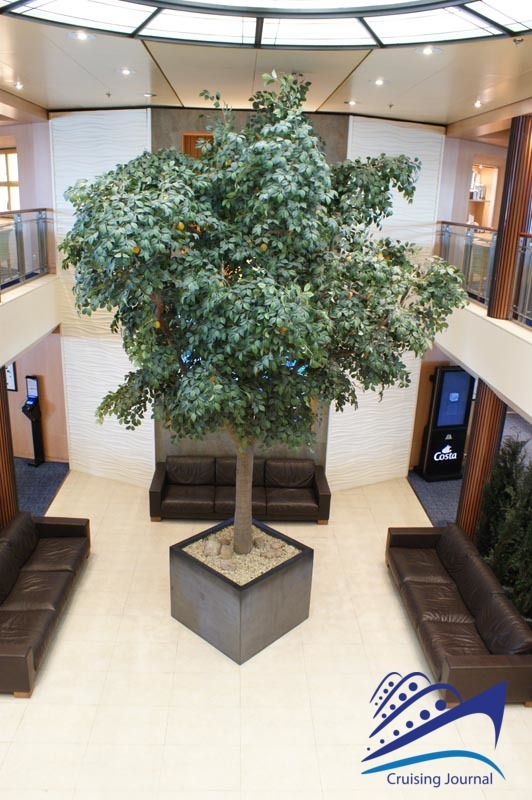 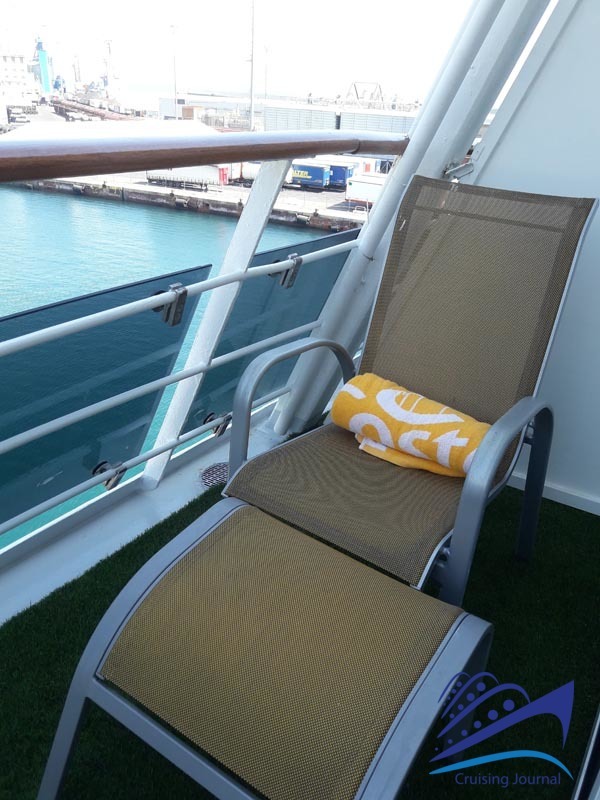 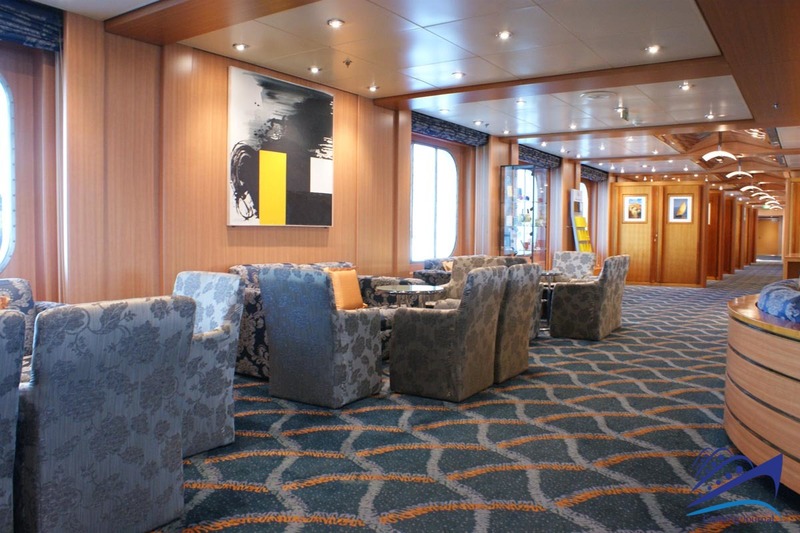 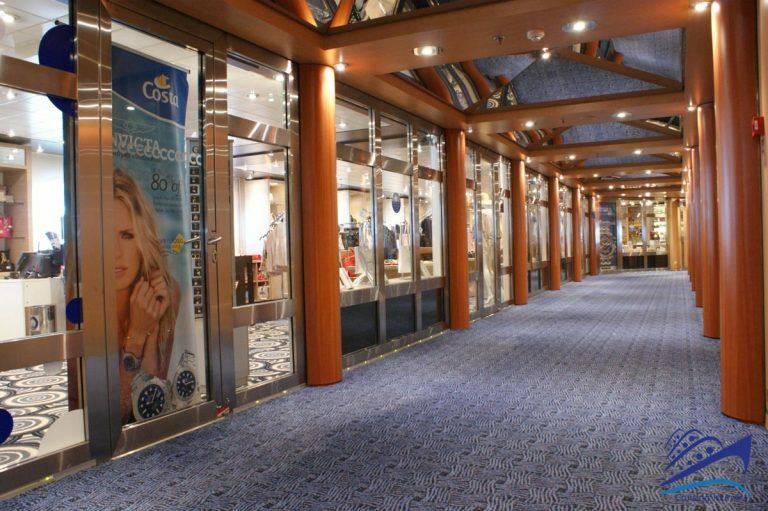 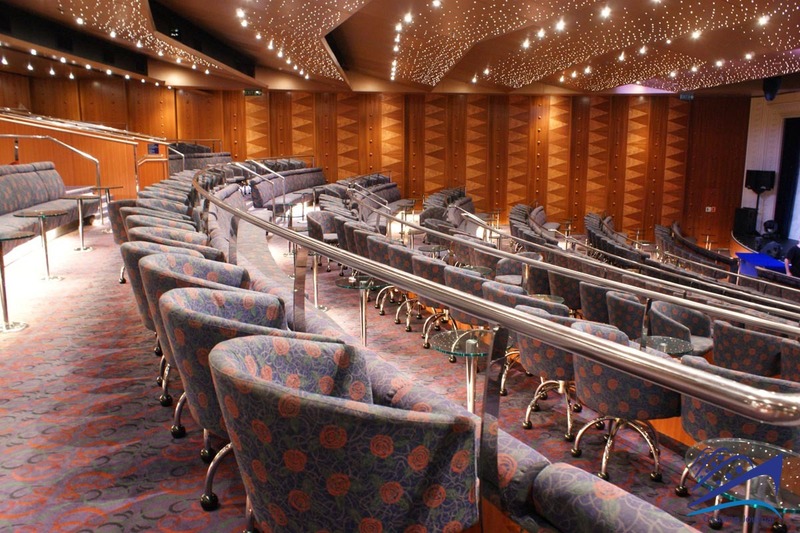 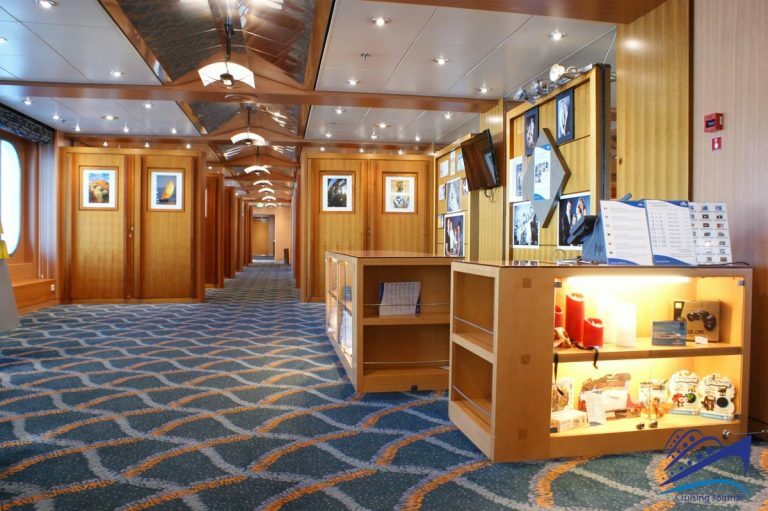 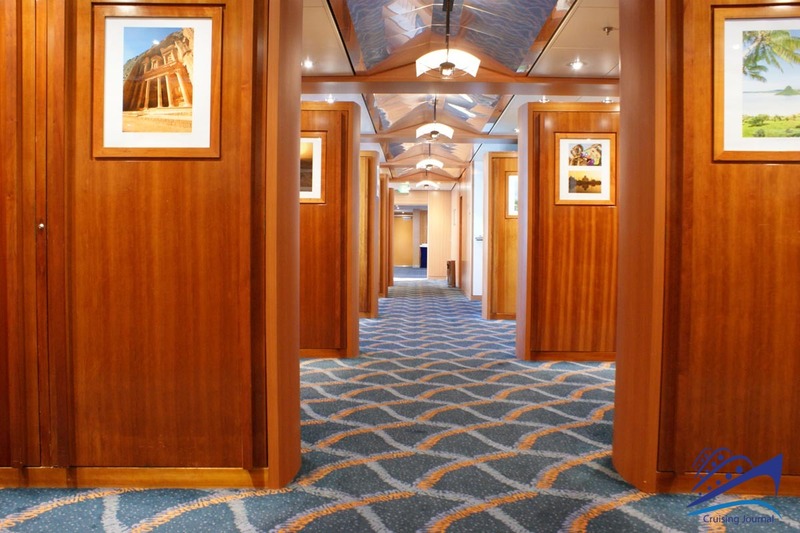 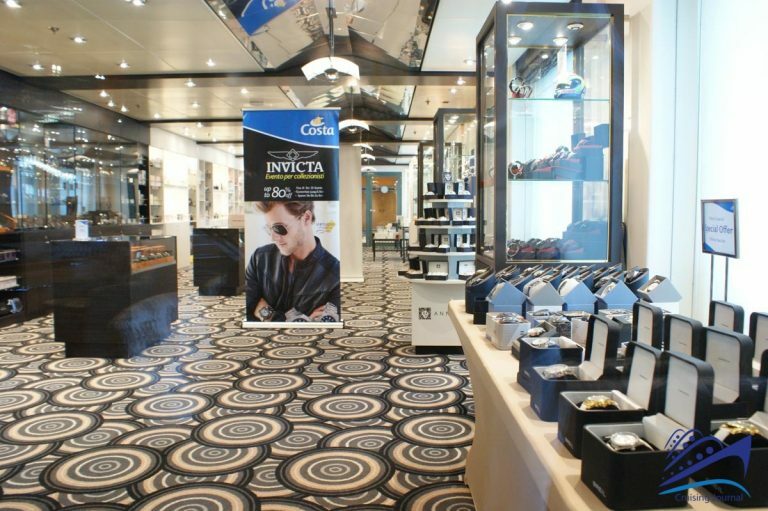 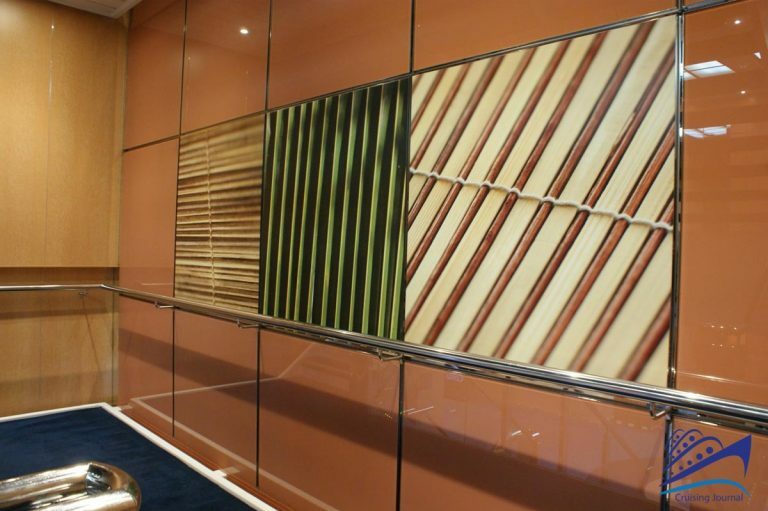 A synthetic grass lawn replaced the old teak parts that characterized the ship at the time of entry to Costa Cruises. 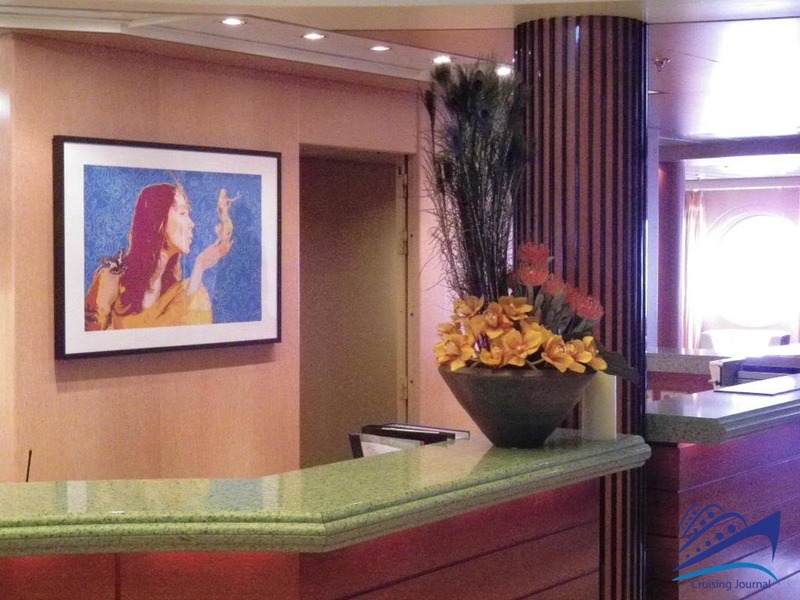 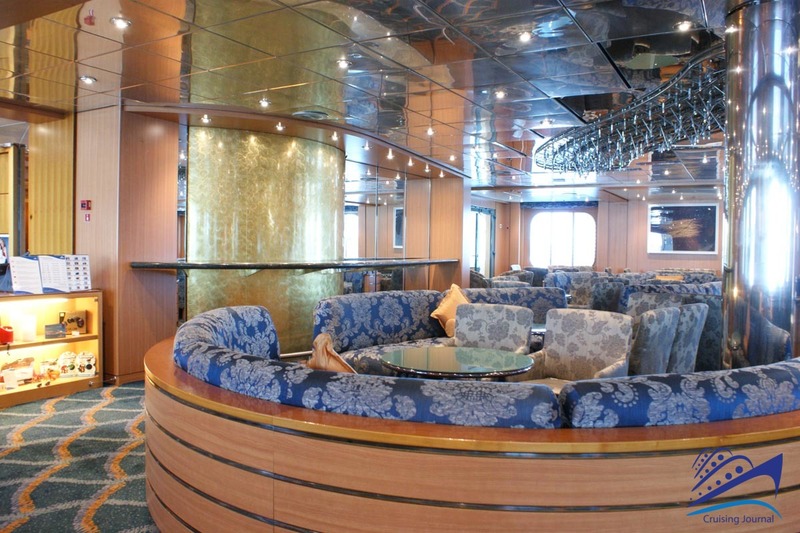 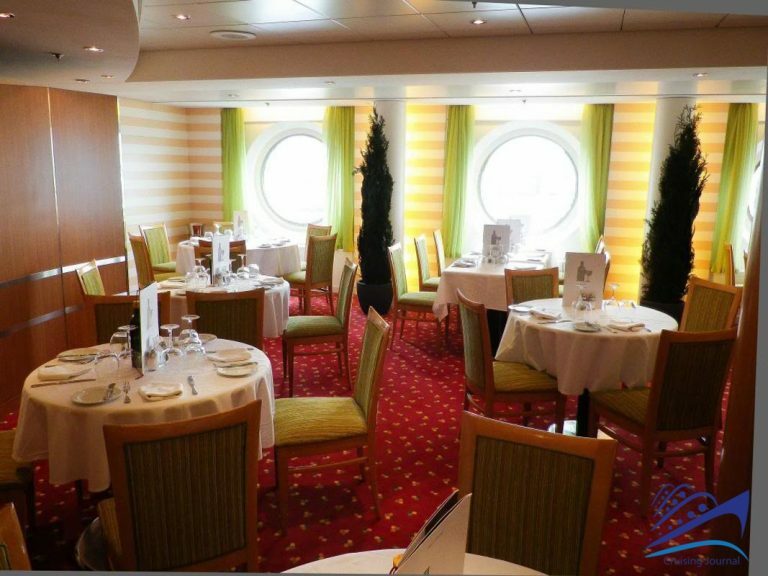 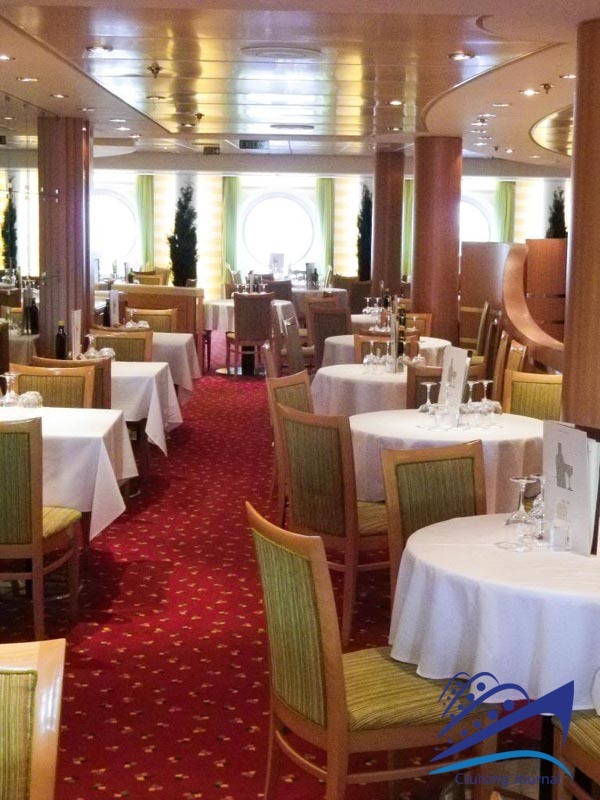 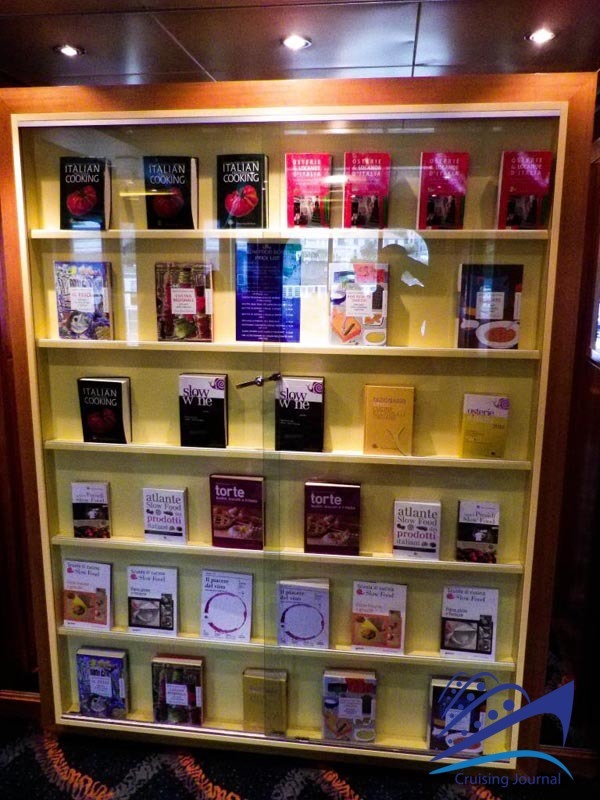 At the stern, still on deck 11, we have the Ristorante buffet Vernazza, arranged on both sides of the ship. 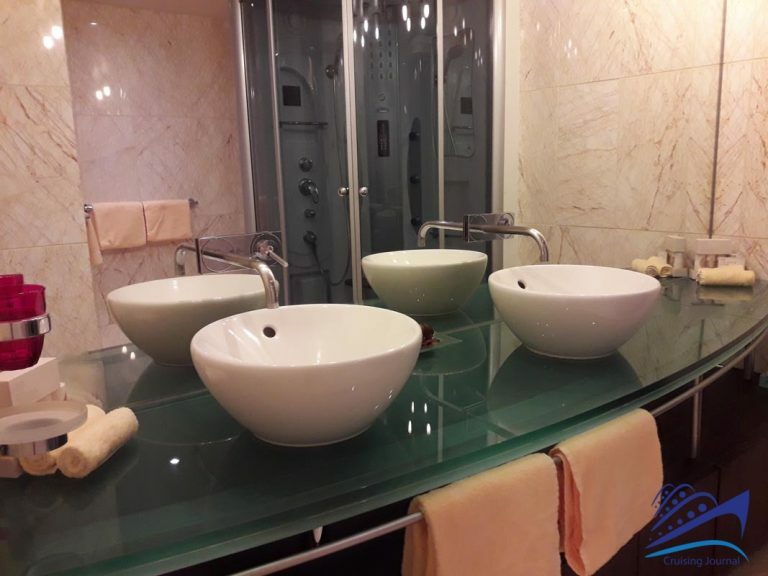 Also rich in light, it is furnished in a simple but welcoming way. 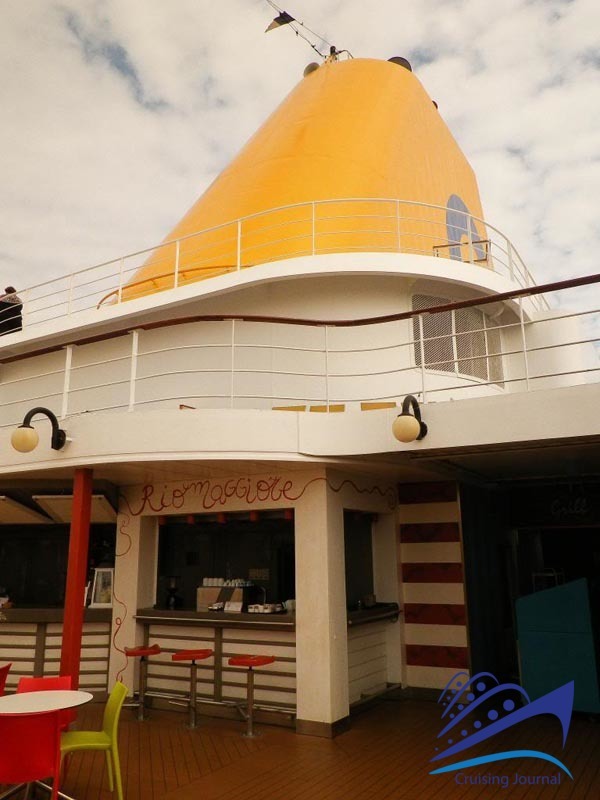 Just before the buffet we have Pizzeria Monterosso, on the starboard, and the Grill Manarola, on the left ship, which complete the offer of Vernazza with freshly cooked pizzas, hamburgers and other specialties. Towards the bow we have the Squok Club and the Teen’s Club, the Porto Venere Wellness Center, the gym and the Framura Beauty Salon. 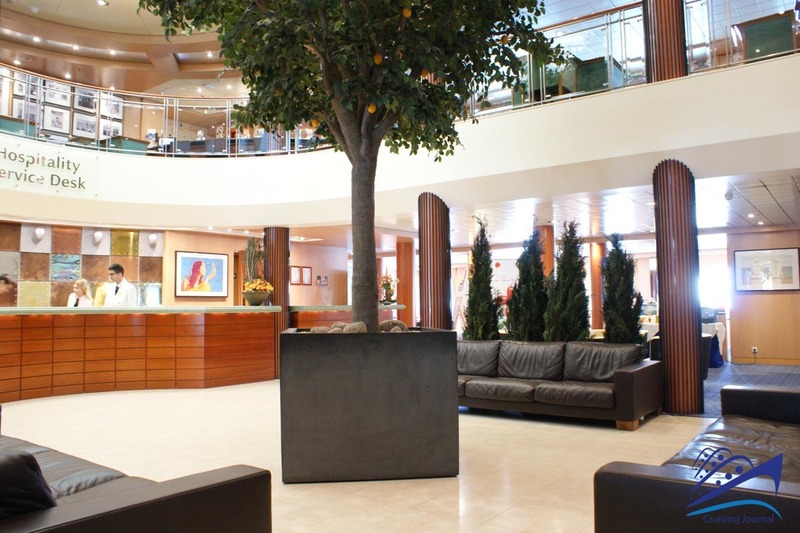 Kingdom of children and teenagers the first spots, places of regeneration and wellbeing the latter. 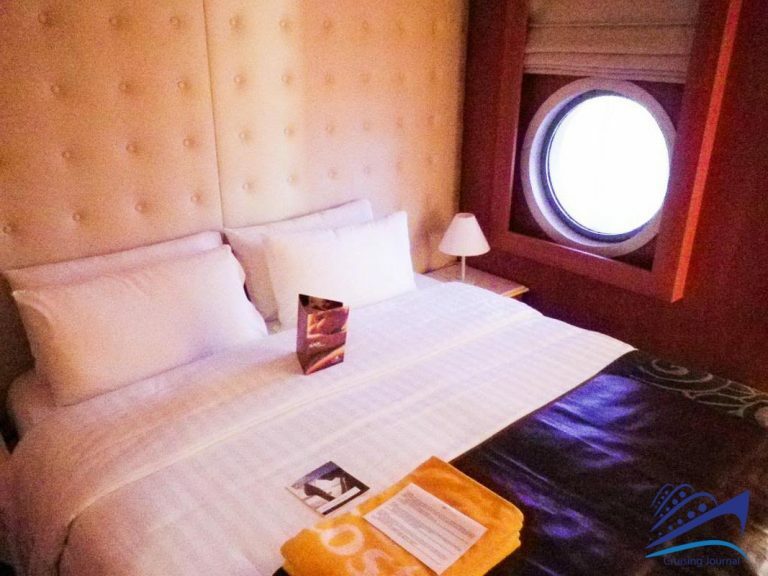 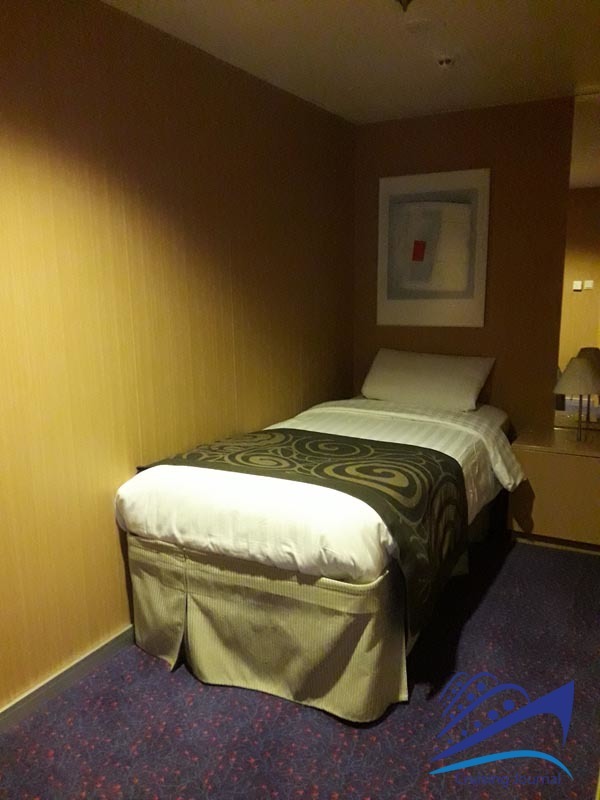 A place to stay late at night is also the Portofino, located on the extreme stern of deck 12 Tigullio. Shelter for lovers of tranquility in the afternoon, and a disco on board after dinner. 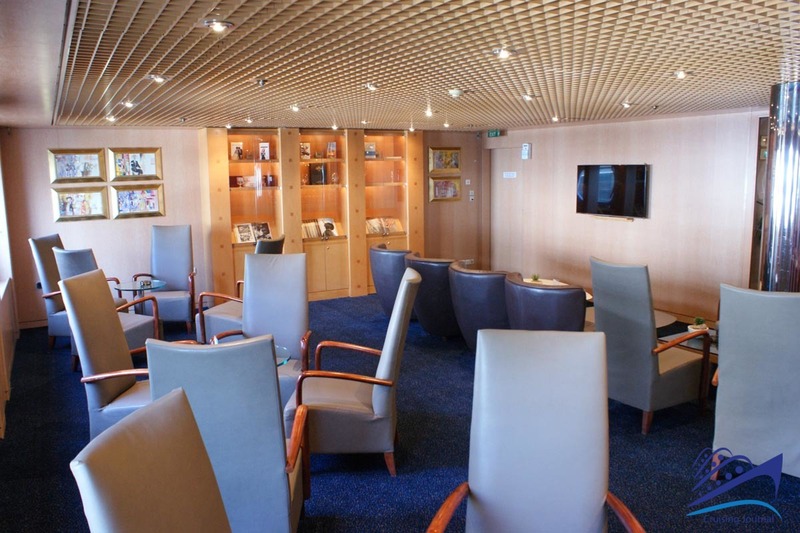 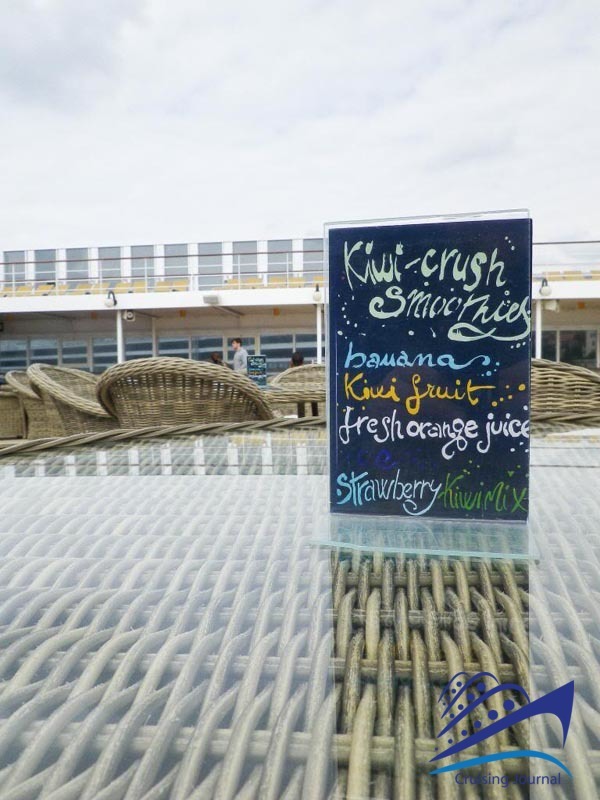 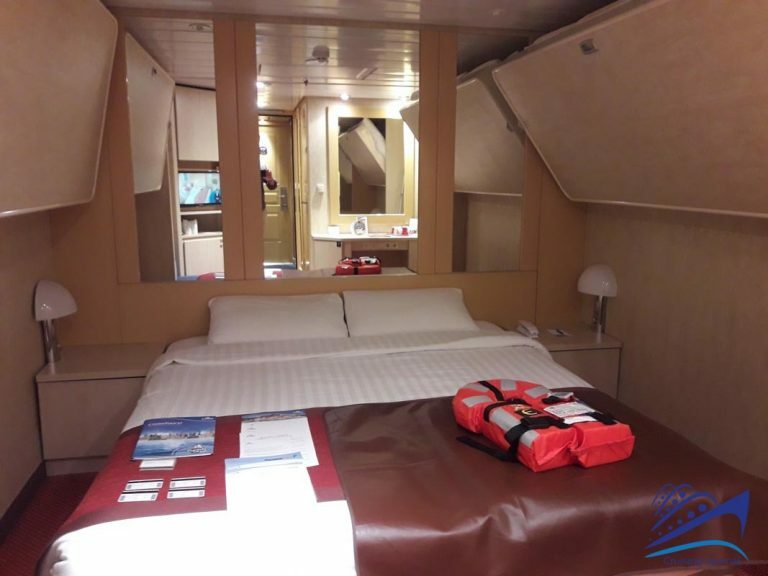 The smallest unit of the Costa Cruises’ fleet offers 624 cabins divided into several different categories. From the inside ones (13 m2) to the outside ones with window (13 m2) or balcony (16 m2) to the upgraded rooms: mini-suites (19 m2), suites (25 m2) and grand suites (42 m2) with a hydro-massage on the balcony. 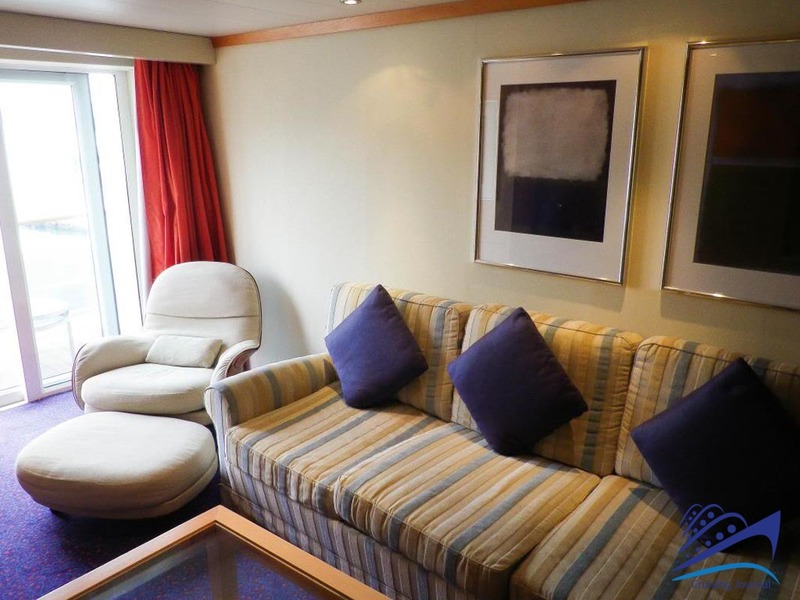 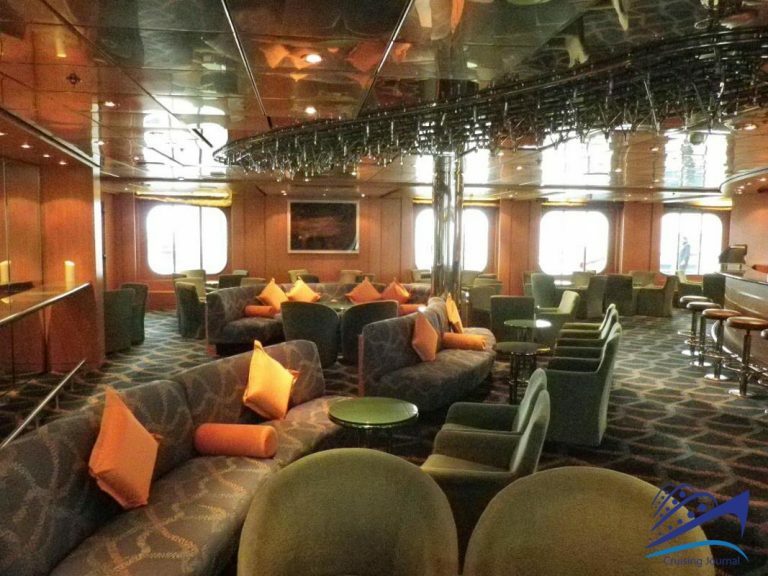 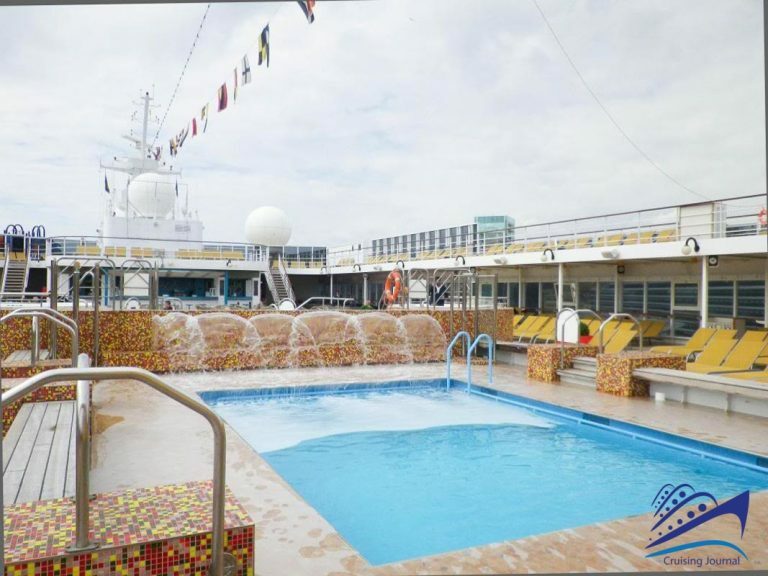 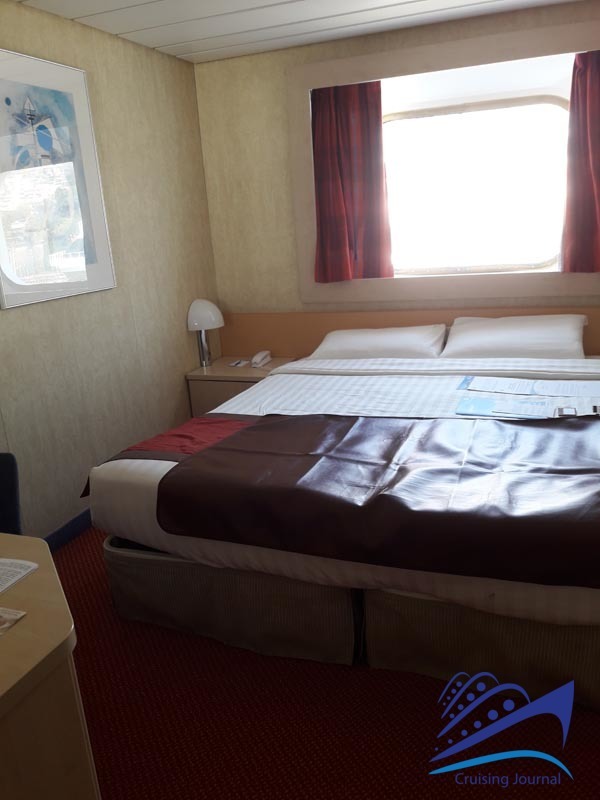 Costa NeoRiviera is a ship structured according to the standards of the late nineties yet repeatedly modernized. 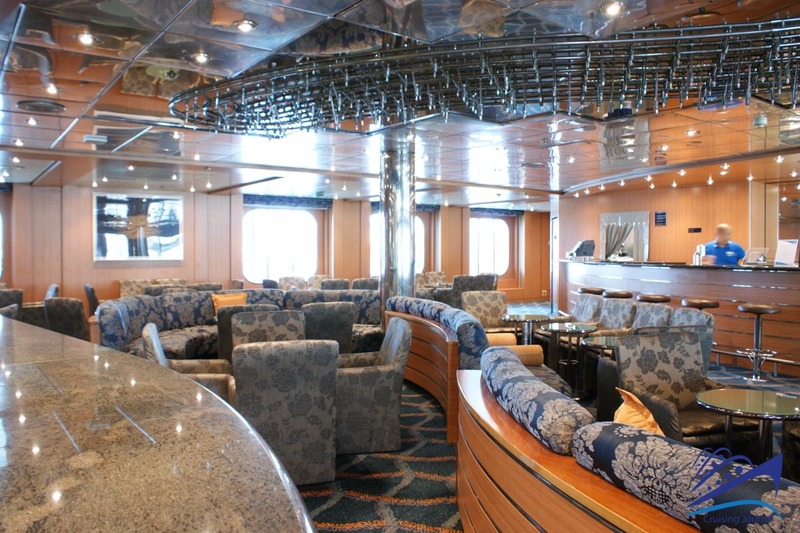 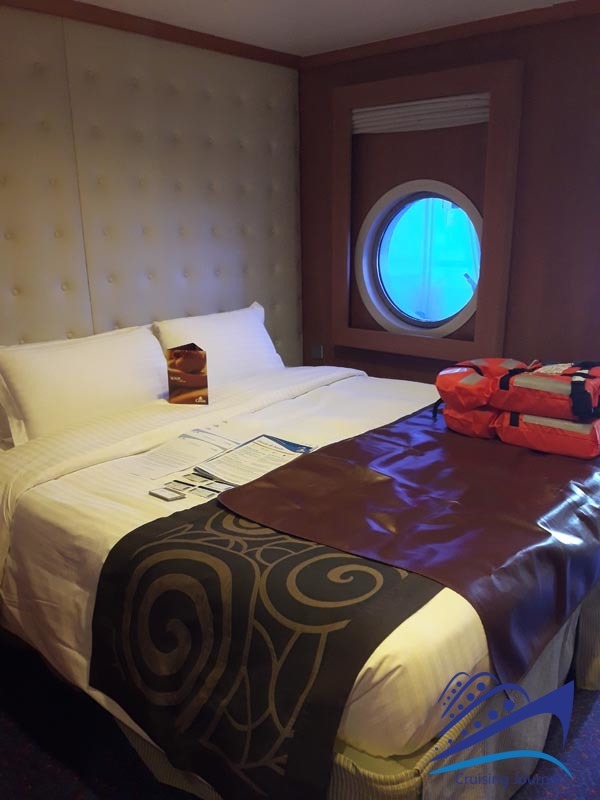 It is able to offer comfort and avant-garde services, on fabulous itineraries and with a naturally better service than larger vessels can allow.